Birmingham & Reading locations. All Degrees Welcome! 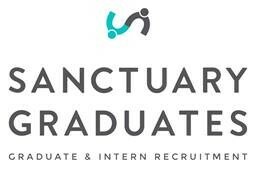 Looking for a top graduate scheme within audit that provides professional qualifications? Want a dynamic and exciting role in the beautiful cities of Birmingham or Reading? Graduates from all degree backgrounds wanted! Do you have an interest in business and finance? Are you looking for a graduate role that provides funding and support for all of your professional qualifications? Would you like to have an in-depth understanding of many industry sectors and be given huge exposure to the world of finance? One of the Big 4 professional services firms are looking for final year students and graduates from all degree backgrounds to apply for their audit graduate scheme. Females are particularly encouraged to apply! It only takes 30 seconds to register your interest in these roles, and we’ll support you throughout the full application process.